The Post-2015 Agenda is an unprecedented effort that embodies universal aspirations for achieving a better, more just, equitable, peaceful and sustainable future. Representatives from 193 governments and multiple stakeholders, from all sectors, have actively participated in its creation. This ambitious and unique exercise represents a paradigm shift in development policy. It materializes years of dialogue and candid ambitions of addressing the most pressing global challenges. In this context, the rule of law, as well as, effective, robust, participatory and accountable institutions is of utmost importance to achieve the 17 sustainable development goals (SDGs) and their 169 targets. The inextricable link between good governance and sustainable development was acknowledged in the Rio+20 Declaration “The Future We Want”. Moreover, the Report of the High-Level Panel of Eminent Persons on the Post-2015 Development Agenda further elaborated on this issue and made a call for all countries to recognize the need for responsive, legitimate and democratic institutions, at all levels. Mindful of these challenges, the governments of Mexico, Romania and the Republic of Korea, with the technical support of the Tellus Institute and the organization ARTICLE 19, reinvigorated the “Group of Friends of the Governance for Sustainable Development”, which was created in the preparation of the Rio+20 Conference, as a flexible and informal space to discuss issues related to good governance and foster cooperation between multiple actors in the context of the Post-2015 Development Agenda. The Group of Friends also aims to contribute to the discussions of the institutional architecture for the Agenda’s implementation, follow-up and review. Thus, the Group convened government representatives, UN officials, experts, and civil society in November 2014, January and May 2015 to three participatory workshops on governance and the Post-2015 Development Agenda. During the first workshop discussions revolved around the relevance of governance in the SDGs context including data collection and accountability. Moreover, participants shared ideas and experiences on public participation. In January, during the second workshop, attendees held engaging discussions on the international, national and regional infrastructure for follow-up and review for the agenda. The third and latest workshop took place in January. It focused on key issues of governance and sustainable development; particularly, on the need of an interlinked and coherent review framework for the Post-2015 Agenda and the Addis Ababa agreement on Financing for Development. At this meeting, participants analyzed and reflected upon the lessons that existing review mechanisms may have for strengthening a Global Alliance for sustainable development. It is with great pleasure that we are now presenting this publication which compiles the main elements of the engaging and valuable discussions that governmental representatives, UN officials, several NGOs, experts and civil society had on the aforementioned workshops. In this sense, we would like to thank all the participants for their important contributions. Moreover, we extend our gratitude to the Tellus Institute and the organization ARTICLE 19 who have worked extensively to make these dialogues and the present publication a reality. 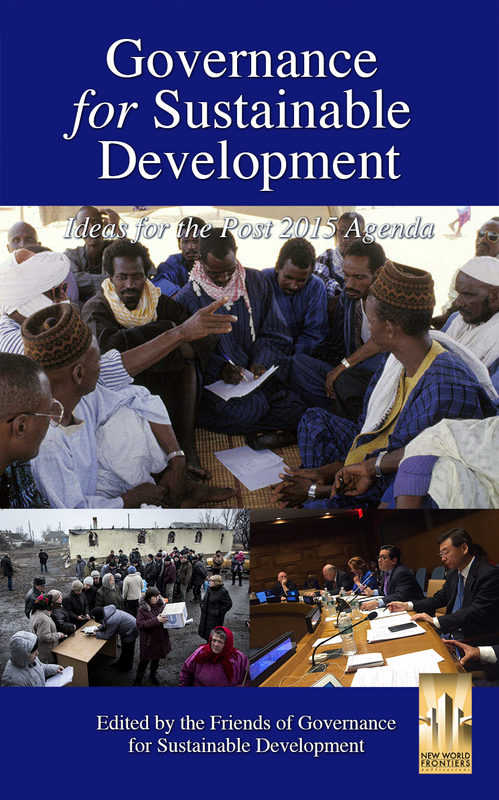 We expect the present publication to be a useful input for the ongoing discussions about the institutional architecture for the Post-2015 Agenda. Our generation has now the opportunity to redefine the future and bring real, significant, transformative and universal change for and with the people, leaving no one behind. However, sustainable development will only become a reality if we have the enabling environment for it to happen. Thus, good governance will be pivotal for implementing, reviewing and improving the Post-2015 Development Agenda. We expect that this publication contributes to the colossal, but encouraging, challenges we will be facing during the next 15 years.